Thailand Travel Guide » Best Things to Do, See, and Eat in Thailand! There’s usually no reason to sell someone on a trip to Thailand—it has a strong tourism industry and a reputation as a gateway to Southeast Asia. And the positive reputation is rightfully earned; Thailand has a beautiful, welcoming culture. And let’s not even get started on the tasty food. That’s not to say that it’s not complex too. It’s the country’s contradictions and accessibility that keeps tourists (myself included) coming back. Thai cultural norms are complex, and with a vastly different language than English, there’s a lot under the surface. I lived in Thailand for about a year total, and I spent most of that time in the north. Even in that time, there is so much I missed doing, seeing, and learning. It’s one of my favorite spots in the region precisely because of the developed tourism infrastructure, as well as the huge community of expats. There’s also a lot of NGOs at work; there are volunteer and socially responsible travel options. Many travelers use Thailand as a base—or at least a starting point—for Southeast Asia. This works well because it has solid internet, great accommodation, good food, and it’s has well-connected transportation options (flights, buses, and trains) to nearby countries. 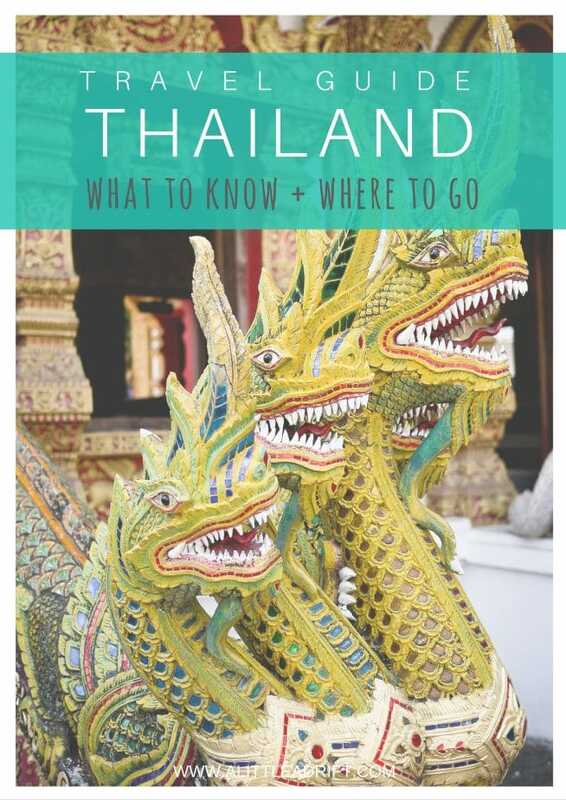 Either read on for more things you should know before you go, or jump straight to city and regional guides for Thailand. Thailand remains the only Southeast Asian country never colonized; visiting the country provides a distinct and interesting contrast to the French-influenced Laos and the British-influenced Burma. The country’s tourism industry thrives and it’s a unique spot in the region. 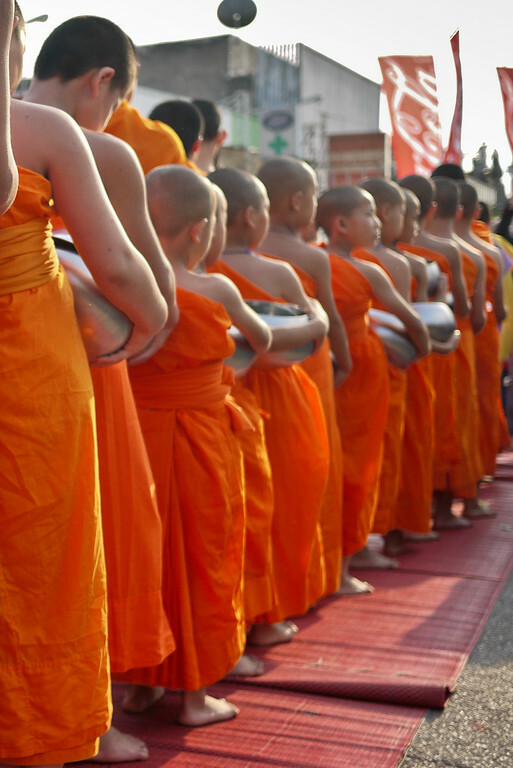 Travelers visiting Southeast Asia have a long and complex history to unravel on their trip. The countries of China, Thailand, Cambodia, Myanmar, and Laos are not only neighbors, but culturally and politically mixed throughout the centuries. The history of Thailand is long, earliest inhabitants dating back to 3,000 BC. The history pressing on the current Kingdom of Thailand, however, dates back to about the 13th century. In the 13th century, modern-day Thailand established sovereignty from the Khmer Empire, the culture of which is still present in modern-day Cambodia. Over the next few centuries, Thailand would see the rise and fall of several Kingdoms—the remains of this history is still in evidence—including the Kingdoms of Sukhothai and Ayutthaya. The Burmese destroyed Ayutthaya in the late 1700s, and this is also about the time Europeans began claiming pieces of Southeast Asia. Thailand remains the only Southeast Asian country never colonized, so it’s a distinct and interesting contrast to the French-influenced Laos and the British-influenced Burma. Power changed hands many times over the next few centuries, shifting with military and monarchy influences. In 1946, King Bhumibol—the long-reigning and much beloved king—started his reign. He would remain king for 70 years (making him one of the longest reigning monarchs in history); his passing in late 2016 brought to Thailand a year of mourning and left a bit of uncertainty about the future as his son, King Vajiralongkorn, ascended the throne. The political situation in Thailand is very complex, and even expats living in the country for years barely understand the nuances that shift and change the political climate every few years. For tourists, it’s best to steer clear of political discussions. Ancient politics are up for study because of the impact on the beautiful archaeological sites, but be wary of offering opinions on any protests, on the monarchy, on the government, or on the political parties. Read a deeper overview of Thailand’s history, or check out the long-reads below for interesting perspectives on this fascinating country. Water: Not safe. But the water served at restaurants in jugs is always filtered. Especially in rural areas, use a SteriPen or LifeStraw if you can’t drink bottled water. Internet Situation: Thai internet is pretty reliable. It’s not the fastest in the world but it works, and most cities can promise good uptime too. If your hotel internet doesn’t work, then you can guaranteed find a dozen or more cafes in the city with good speeds and tasty coffee. Nomadic Notes has a fantastic collection of wifi-friendly cafes across many cities in Southeast Asia. Visas: Generally, the U.S., UK, and EU passports are given a free 30-days as a tourist if you enter by air, and 15 days if you enter overland. Check your visa requirements here. And below I outline how many travelers stay for longer on double-entry and student visas. Safety: Southeast Asia, on the whole, is a pretty safe region of the world. It’s actually one of the first places I recommend for solo and new travelers. Thailand has the most developed tourism network in the region and is usually the hub for backpacking trips in SEA. Opportunistic crimes like theft and pickpocketing will surely happen if you’re not cautious, but violent crime against tourists is pretty rare. There are also scams (see the “possible issues” section). Traffic accidents are the biggest threat here, not crime. Anything can happen on the road. I am a firm advocate of travel insurance like World Nomads; for a full review, these are my top tips for picking a good travel insurance. 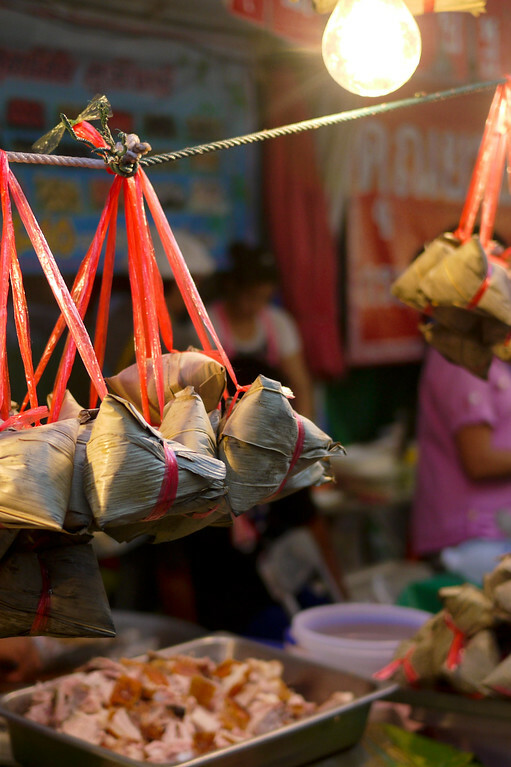 Food Considerations: Thailand has amazing food options for travelers of every ilk. You can find vegetarian food pretty easily with just a few words under your belt. If you’re a meat-eater, Mark’s site is about the best guide possible for eating in Thailand. Also, you should absolutely plan on eating street food options, so follow these food safety principles. The individual city guides have additional restaurant recommendations for vegetarian travelers. Local SIM: Getting service for your phone is a cinch, and it’s cheap to boot. Read this SIM card guide for tips on how to get one, how to top up, and what that whole process will look like. Accommodation: While the links in city guides below go to a hotel booking site, many are also found on Airbnb if you are member. (A Little Adrift readers receive an Airbnb credit here to give it a go.) When you’re in Southeast Asia, Agoda is pretty much the best booking site. While they offer accommodation around the world, their coverage and reviews are best in SEA. Although I use Agoda for a lot of my bookings, Booking.com is a solid backup of options and reviews, and it has a bonus incentive of a discount on your first booking if you sign up through A Little Adrift. If you need some more help on navigating where to stay each night, check out my detailed guide to finding good places to stay. Transportation: Thailand has a well-developed transportation infrastructure. If you want to get there, there’s a way to do it on public transport. There is a network of trains (these are the slowest transport option, but cheap), and an extensive network of long-distances buses that rocket out into every corner of the country. Within the cities, you can take buses, taxi, songthaew (shared public truck-taxis), and tuk-tuks. That being said, traffic accidents are a major problem and have a high fatality rate. Be careful, particularly if you are renting a motorbike and are not familiar with the road customs. Uber works in the big cities (although it comes and goes as local officials crack down on it). I have an extensive page dedicated to transportation in Thailand, covering how to get around to major cities and sights, as well as onward travel to other places in Southeast Asia. Budget: Once you are on the ground (so excluding flights), backpackers seem to universally average about USD $30 a day, this is both as solo and couple travelers. Each day fluctuates a bit. It’s cheaper in the north compared to the Thai islands, but overall the bare basic budget if you plan to travel around is about $30. That’s if you’re truly going backpacker style. You can get a lot of bang for your buck on about $40-50 per day average. This means some nicer digs (perhaps with A/C), and definitely if you plan to eat more than street food every day. If you’re looking to make Thailand a base, here’s a detailed look at the cost of living. Possible Issues: Be very aware of the scams in Bangkok, there are many and the scams primarily center on the tourist areas of town. Please, please read up on these: here, here, and here. Even experienced travelers have fallen victim to these scams. World Travel Planning Tips + Resources: From the best travel gear to how to pick travel insurance—a detailed list of resources, tips, and advice to help you plan an amazing trip. Mai Pen Rai Means Never Mind: A classic book to read before you go, this is a fun and light account of a 60s housewife who moved to Thailand and experienced the people and culture before tourism boomed. Her insight has endured time and is a delightful read. Sightseeing: Thailand is a land between two worlds: the one tourists see, and the nation facing economic and societal issues. This book looks at both sides in a way that is thoughtful and interesting. The short story format is ideal for bringing it with you and reading as you travel. Bangkok 8: A Royal Thai Detective Novel: This fiction book is a favorite of many because it’s a snappy, well-paced whodunit that shares a lot about the seedy underside of Bangkok. If you’re more keen on nonfiction though, Thailand Confidential is similarly fast-paced and looks at a similar aspect of Thai culture. Traveling the Durian Trail: This smelly fruit is popular across Southeast Asia, and has a cult following in foreigners. The taste is pungent, and you should give this a read. And you should find a way to sample it while you’re in Thailand. The Worst Party in Asia: The Full Moon Party on Koh Phangan is well-established legend down in the Thai islands. This spot starts of a party scene that runs across SEA for many backpackers, but there’s a darker side to it. Please read this piece before heading that way. Trafficked into Slavery on Thai Trawlers to Catch Food for Prawns: The relationship between Thailand and Burma (Myanmar) is complicated, and this piece touches on not only that, but a side of the global fishing industry’s impact on Thailand that lies just under the surface. Foreign Fighter and Fighting + Otherwise: Two great look at the Muay Thai boxing scene and the hows and whys of so many foreigners learning the sport. The Last Days of an Ancient Sword: A beautiful piece looking at the traditional methods of smithing the Dha, an ancient sword. King of the Dump: The NGO scene in Thailand is expansive, but also complex. This is a good read about one small region and the issues and gray area surrounding supporting communities. Thailand News: Jodi from LegalNomads has curated a great Twitter list that collects the latest relevant information about news and happenings in Thailand. Recommended Guidebook: National Geographic Traveler Thailand. This is the best guide to plan your route and itinerary. I often use the Lonely Planet for transport specifics, but the NatGeo guide has a beautiful focus on the culture and activities in Thailand that will plan make a wonderful trip. I also have a full page on Thailand transportation to get familiar with your options. Read all my Thailand travel stories and find more regional fiction and nonfiction books and long-reads. Let’s talk about socially responsible travel in Thailand, as well as the greater opportunities in SEA. This topic has many layers. From volunteering to donating to beggars to choosing ethical activities. It’s a complex situation. Animal tourism has a dark side, and responsible travelers should research alternatives. Also, for more general rules of responsible travel, try out these responsible travel tips to lessen your impact on the places you visit. I also suggest that all travelers read this post on giving to child beggars; you will face this conundrum, so best to be prepared. Let’s jump into activities you might want to do, as well as alternatives that are just as fun! And at the end are tips for responsible volunteering. If you’ve long dreamed of riding one of these majestic creatures, you should read up on their treatment and what it takes to actually break an elephant’s will enough for it to perform tricks. It’s a sad industry, and in SEA this industry grew along tourism. 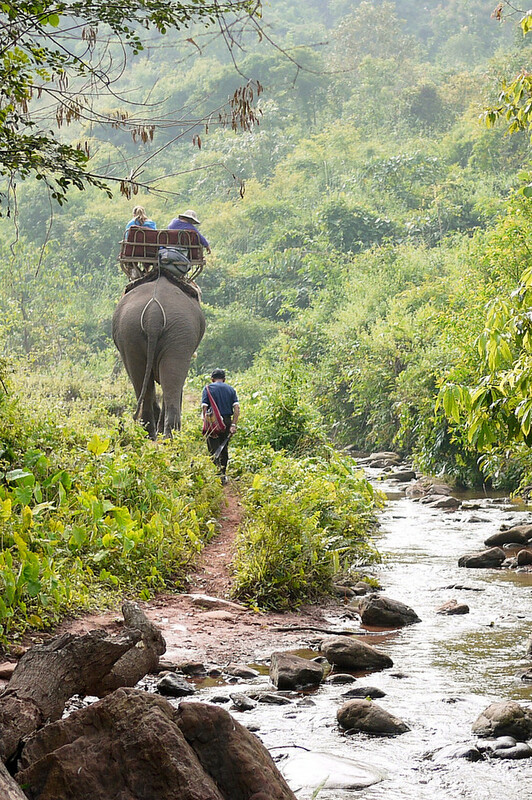 Traditionally, the Thai’s used elephants for hard labor, to help clear land and forests. They make more money from tourism, however, and this has led to a cycle of over-worked and abused animals. On the flipside of the debate, feeding an elephant costs a lot, and tourism (including rides) help the mahouts afford to properly care for their elephant. It’s a complex, complicated issue. There are options though! There are several sanctuaries in Thailand and Cambodia that offer responsible traveler-elephant interactions. Travelers love the responsible experience. They are doing wonderful work to give these elephants a home and a peaceful life. Check out the Save Elephants Foundation to plan your trip. This is a sticky area. There are two main organizations in Thailand offering tiger experiences. Tiger Temple near Bangkok, and Tiger Kingdom near Chiang Mai. You should NOT visit Tiger Temple. NatGeo did an exclusive on their practice of supplying the black market with tigers (they are a hot commodity in China’s black market for their bones). Tiger Kingdom near CM says that it supplies zoos around the world with the adult tigers who are too old to use in the park. There have been no negative reports, and their tigers tend to seem happier and well-fed. They lose points in my book for providing no educational value, but they don’t seem to operate at unethical standards (unlike the Tiger Temple). Do your research before you book a trip so you know where you stand on the situation. The two most notable and touristy instances of this are the Karen Padaung Village visits in the north, and the Ping Pong Shows in Bangkok, Phuket, and other areas. The Karen villagers are the women with the rings around their necks. It’s beautiful, but it’s shady business to spend your money there. They are Burmese refugees and they’re stuck in Thailand as a living zoo for tourists to come take photos. There are treks through hilltribe villages, homestays—there are alternatives to a packaged tour to visit these women. For the ping-pong shows, this region is plagued by trafficking, and by all accounts shows like these—and tourism demand—stoke the situation further. Many travelers are keen to volunteer or support responsible businesses. There are a lot of NGOs and opportunities for this type of travel. But not all are doing great work. Consider this list of vetted independent volunteer opportunities in Thailand. Consider using some of these Thai social enterprises on your trip. Supporting social enterprises is one of the easiest ways to create a trip with positive impact. This means picking businesses that are using funds to support local communities and to offer training, support, or to protect natural resources. You can do everything from get a massage or pick a trekking guide—all with companies committed to social impact. A frequent question is how to stay in Thailand longer than the free 30 days upon air arrival. To stay longer as a tourist, you have to do it in 60- or 90-day chunks. With some other loopholes thrown in too. There are two options. Staying for 90 days, or staying for six months. 6-month visa. The double-entry tourist visa was, unfortunately, discontinued in November 2015. This is what foreigners used to stay for six months. Old information will tell you that you can get these double-entry visas in neighboring countries. This old process was replaced by the “multiple entry tourist visa,” which is good for 6 months, but you must exit every 60 days to re-start it. And what’s more, now you need to plan ahead as you can only secure this from your home country, and there’s also a financial requirement, which the different consulates seem to apply differently. The single-entry visa; 90 days. This single entry visa is valid for 60 days and you can extended it for 30 days at a cost but is easy to extend at the immigration office. This will get you three months in Thailand. You’ll need to apply for this at a Thai embassy before you land in Thailand. When you land, that’s your first “entry” and is good for 60 days. Before leaving at the 60 day mark, you pay a fee and extend at the immigration office for another 30 days. This means you’ve now stayed 90 days. At this point, you must leave. You have to cross a border. And the rest of Southeast Asia is beautiful. Travel to Laos, Cambodia, Malaysia, or Myanmar. Grab a cheap AirAsia flight and explore the region a bit. Or do a border run by getting stamped out of Thailand and come back the same day. But without the longer visa, your reentry will give you 15 days by land and 30 by air. They will clearly mark the dates you have to leave the country on every entry/extension—adhere to those or you get fined and lectured and you might not easily get another long visa. Also, this information can change, so always double-check at the Thai Embassy site for the latest regulations. These visas are only intended for tourism, so you can only receive a certain number of them in your passport. If you plan to live in Thailand, you have a whole other set of issues to consider if you are using a tourist visa. They likely won’t issue more than two or three visas before assuming you are living there illegally. At this point they will not issue your passport another long-term visa. But if you’re simply on a sabbatical, then you’re golden. There are also specific visas you can get that let you work and study legally. Student visas are possible if you are studying Thai language. English language teachers can often obtain a work permit. Retirees need to meet age and income requirements. All of these details can change at any moment. While I do my best to make sure this information is accurate, I suggest you check the ThaiVisa Forums for the latest information, and for other answers to common questions. Although we have an entire page dedicated to transportation in Thailand, if you’re exploring the most popular areas—Chiang Mai, Bangkok, etc—then use the quick guide below to plan how you can navigate the country both overland, and by air. These are the most popular routes and methods of transport for backpacking Thailand. If you’re planning a backpacking trip to Southeast Asia there is a good chance you will start in Thailand, arriving via Bangkok’s Suvarnabhumi Airport. Located around 30km (19 miles) from the city centre, there are a couple ways to choose from for getting into the city centre: airport shuttle bus, taxi, or the Airport Link train. What is the best way to get from BKK to the city? Staying near Khao San Road? Take the airport shuttle bus. Staying near Sukhumvit or anywhere in the city center? Take the Airport Link train or a private taxi. Thailand’s transportation infrastructure is well-developed. There is a network of trains (these are the slowest transport option, but often cheaper), an extensive network of long-distances buses that rocket out into every corner of the country, and several budget airlines making travel north or to the islands in the south a quick and relatively painless (and often quite cheap if you travel carry-on only, especially). Chiang Mai: There are a couple of train options between Bangkok and Chiang Mai. The cheapest option is train 7 (641 THB for second class). If you prefer to take a night train and save the cost of a hostel bed or hotel room, you can take train 13/14 (791/881 THB for second class) or train 9/10 (941/1041 THB for second class ticket), which features new Chinese-built sleeper cars. Ayutthaya: Take the train from Bangkok’s Hualamphong station for about 20 THB in third class. Hua Hin: Your best option is train 43 (102 THB). Krabi: Train 43 towards Surat Thani (279 THB). Koh Samui: You’ll need to take the train to Surat Thani (248 THB / $7.50 USD), then take a taxi or bus and then a ferry which can be around 400 THB ($12 USD). One thing to remember with taking the train is that they rarely run on time. It is common for your train to leave later than scheduled so bring snacks, water, and a good book or something to entertain yourself. Ayutthaya: The best option is by van. While space is limited, the drive is short and the fare is about 240 THB. Sukhothai: You’ll need to take a long-distance bus from the terminal near Mo Chit BTS. Fares to Sukhothai start at 346 THB. Hua Hin: Instead of a bus, you can take a van from Ekkamai BTS for about 180 THB. Phuket & Krabi: You can take a comfortable ‘VIP’ bus from the Southern Bus Terminal for about 643 THB. To get to the Southern Bus Terminal you can take a city bus (#79), but it is best to take a taxi. Similar to traveling north, it is best to go to the terminal yourself to book your tickets a couple days in advance. The fastest, but not necessarily the cheapest, way to get from Bangkok to Chiang Mai or other Thai destinations is to fly. Thankfully, there are a few budget airlines to choose from. Most will fly out of Don Mueang Airport (DMK) which can be quite busy (currently passengers are encouraged to arrive three hours early due to new security measures). The most popular airlines out of DMK are Air Asia or Nok Air. Another popular option is Bangkok Airways, which flies out of Bangkok’s Suvarnabhumi airport (BKK). Chiang Mai: Air Asia starts at 830 THB one-way, Nok Air starts at 899 THB, or you can take Bangkok Airways (starting at 1,200 THB and flies out of Bangkok’s Suvarnabhumi airport (BKK)). Phuket: Air Asia at 950 THB, NokAir at 799 THB, Bangkok Airways at 1,390 THB. Krabi: Air Asia at 950 TH, NokAir at 799 THB, Bangkok Airways at 1,490 THB. Koh Samui: You’ll need to fly to Surat Thani, then take a ferry transfer to the island. This can be booked as a package through the airline. Air Asia offers this service for about 1,540 THB. Nok Air offers a similar package for about 1,599 THB. It is important to remember that budget airlines often have extra fees for seat selection, checked baggage, and so on. Always read the rules carefully before you book your flight so you are not surprised by extra fees at the airport. Once you’re on the ground in a new city, you can use some of the fun types of local transportation, from canal taxis to songthaews to tuk-tuks—here’s everything you should know before using local transportation, including possible scams and how to glad down ones going in the right direction! Mowing down on vegetarian street eats perched on a tiny stool and chatting with friends. Cheap massages at the Sunday Night Market in Chiang Mai. Interacting with the elephants at the Elephant Nature Park near Chiang Mai. Watching the beautiful lantern and krathong release at Loy Krathong and Yi Peng. Volunteering to help Burmese refugees seeking higher education. I spent about a year in total living in Chiang Mai and it’s one of my favorite spots in Thailand. The city is called the “Rose of the North” and it’s the heart of Lanna Thai culture. There are a range of foods present, both traditional Northern Thai food as well as Issan, and cuisine from neighboring Burma. Northern Thailand has many Burmese refugees, and this presence is felt not only in the food, but in the range of development work and volunteering opportunities. There are a heap of day trips possible, and weekend getaways too. If you’re okay with not being near the water, this is a great place to settle for a while—or to come visit at the very least! My cost of living in Thailand post is one of my most popular, so if you’re thinking of making it a base, check it out. I have a much more thorough guide to Chiang Mai here. It includes more photos and details about it all. Also, the Nancy Chandler Chiang Mai map is amazing. So detailed and it gives you an entirely unique way to explore the city. I highly recommend you pack one of these before you leave. Mine was in tatters by the time I left Thailand—I used it that religiously. 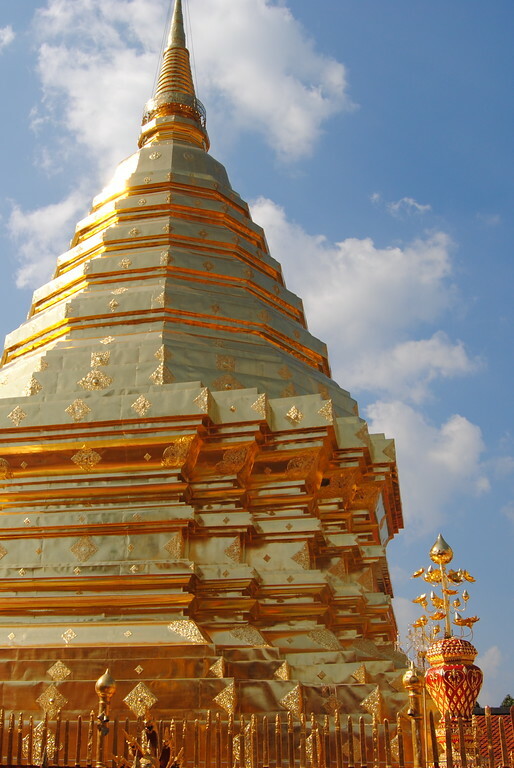 Spend an afternoon at Wat Doi Suthep. This is one of the most sacred temples in Thailand and a beautiful one built right into the top of a nearby mountain. This is a cinch to visit from the city—red songthaews leave from the base of the mountain every 15 minutes or so when they are full. Wander through Wat Chedi Luang in both daylight and at night. One of my favorite temples in the city and a distinctive feature of the Chiang Mai skyline. This was once home of the sacred Emerald Buddha (now in Bangkok). The top of the chedi was destroyed in an earthquake, so it’s beautifully crumbling piece of Lanna Thai history. Find food at the night bazaar. If you’re in town for a bit and have time, the night bazaar is an assault to the senses and a popular tourist spot. It has a range of foods and gifts, so you can spend a night of shopping with numerous street vendors. The night bazaar is open every day of the year. Sip coffee at Akha Ama. This is my favorite social enterprise in town and they have delicious coffee too. If you’re super lucky you might find an open spot on a Coffee Journey. Get a massage at Lila Thai Massage. This chain in the city was founded by the former head of the women’s prison as a way to help the women transition back into Thai society. It’s a great cause, and they give a wonderful massage. Support ethical elephant tourism at the Elephant Nature Park. Riding elephants shouldn’t be on your bucket list for a number of reasons. But there are wonderful alternatives that still put you in close contact with the elephants. The ENP outside of Chiang Mai is run by a passionate woman rescuing elephants from abuse and giving them a beautiful home in the CM Valley. I highly recommend either a day tour to the ENP, or a weeklong volunteer vacation on the grounds to work with the elephants more closely. They have a range elephant and animal projects throughout other areas of Thailand and Cambodia. More on that here. Go ziplining in the jungles outside of the city. Book with any of the many companies in the city (Flight of the Gibbon or perhaps Eagle Trekkers) and you’ll be ziplining through the treetops of Thailand. My niece and I spent a day doing this and it was a heap of fun. Spend Songkran and Loy Krathong here. 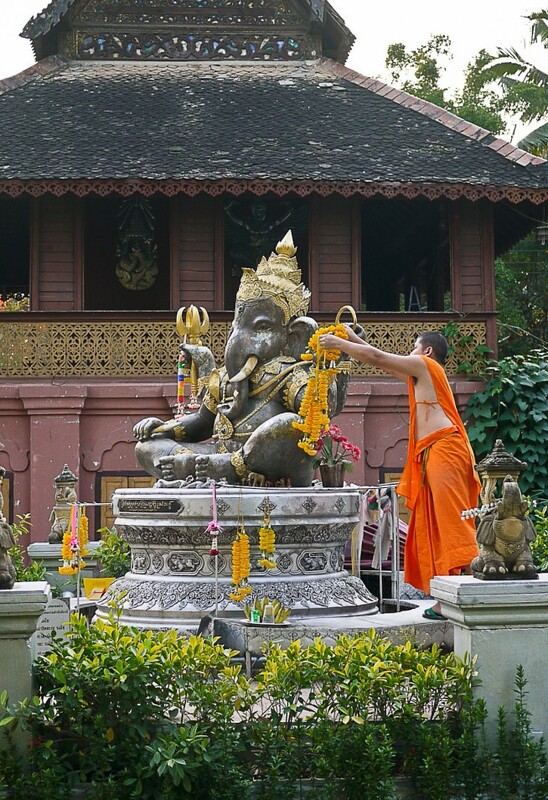 Chiang Mai is the best spot to experience both of these beautiful Thai holidays. 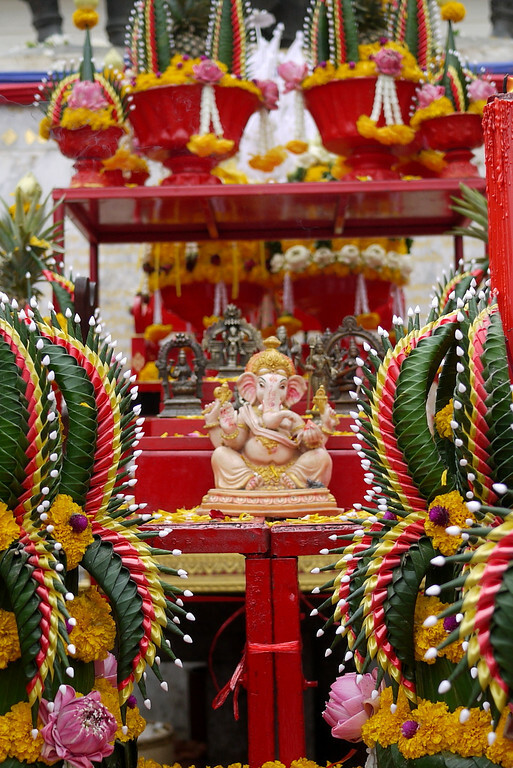 (And Chiang Mai has heaps of others throughout the year too, from the Umbrella Festival to the Flower Festival). Take a cooking class. Northern Thailand has a lot of unique cuisine and this is the best spot in the country to take a cooking class. Many classes take you to the markets, some even out to their farms. Stay in a nice spot. There’s a heap of accommodation in CM, so you should be in a pretty place that is still rock-bottom prices. Consider or Sabai Hostel on a budget, Kham Phai for midrange, and De Naga for a nice place from which to organize your search. Eat dinner at Chiang Mai Gate. I ate here many nights each week. It’s a hotspot for affordable street food eats. There are a handful of vegetarian eats, and plenty of meat for those in your group who may want other dishes. There’s a good hodgepodge of locals and tourists here and it’s a great place to sample a bit of everything Chiang Mai has to offer. The perfect evening: Start with a smoothie, grab a meal, top it off with mango sticky rice! Eat at the Sunday Night Market. This market proves that you don’t have to “go local” to have a fun experience. It’s touristy as hell, claustrophobically packed with people after 7pm, but a lot of fun for a Sunday Night. Go early (between 5p and 6p) for dinner at the Wats located at the east end of the walking street (near to Thae Pae Gate). Grab a drink (or a pub night) at the UN Irish Pub. Located inside the moat (24-24/1 Ratvithi Road), this is just a fun spot filled with expats and backpackers alike. Quiz nights on Thursdays are always packed (and surprisingly tough!). Find a good coffee shop or coworking space and camp out. Chiang Mai has a lot of expats and digital nomads working from cafes. This list collects the best in the city. Grab some tasty veggie Thai dishes. There are a handful of purely vegetarian restaurants in the city and they are delicious. I list my favorite veggie restaurants here. Take Thai lessons. My niece and I took private Thai lessons from Lah and she was great. If you are looking to learn Thai merely for the student visa, however, you will have to go through one of the language schools. Near the northern Myanmar border is Chiang Rai, a much smaller town compared to Chiang Mai, and one with an undoubtedly slower pace. It lacks the glitzy expat scene and digital nomads pouring from trendy coffee shops, but it has a charm all its own. My niece and I visited on a day trip while we lived in Chiang Mai and we saw the key highlights but not a lot besides. Which was a crying shame because Chiang Rai deserves a closer look. For that reason, I asked Josh from The Lost Passport to give me a rundown of the highlights for any travelers either passing through town on a day trip, or even those keen to sink into the experience a bit and really enjoy more that Chiang Rai offers. He lived in the area for a time and so also offers a great guide to Pai and other areas of the north that are popular with travelers! Below are few of his highlights, and you should check out his in-depth Chiang Rai travel guide for more destinations around the province including hiking trails, waterfall, and a beach! Explore Wat Rong Khun (the White Temple). The White Temple is one of Thailand’s most prominent contemporary works of art, and it’s an ongoing masterpiece. Although the entire vision won’t be completed until as late as 2070, the main temple, bridge, and other areas of the temple complex are done. A major earthquake in 2014 caused damage to the painted walls inside, but it is still totally worth the visit. Get wet at one of the many nearby waterfalls. There are plenty of great waterfalls within 30 minutes of Chiang Rai. Khun Korn Waterfall is the most iconic of them—it’s over 70 meters tall. You can even shower under it if you are brave enough! Learn Muay Thai. Undeniably one of the more popular activities for those visiting Thailand, Chiang Rai is a great place to learn. Lanna Fighting is one of my favorite places to train Muay Thai in Thailand. Master Din is a friendly and well-experienced trainer and the center focuses on developing technique rather than make you run for an hour. Discover the walking streets. Chiang Rai has walking street markets on Saturdays and Sundays, located in different locations. They are similar to those in Chiang Mai, just way less hectic. Check here for more specifics on where to go and what to expect. Enjoy downtime at the Boon Rawd Farm. It may be owned by beer giant Singha, but it’s now used to grow local produce with those from the poorer ethnic villages. Don’t visit expecting a brewery, it’s a working farm and is an expansive park that’s popular with local Thais. It makes for a pleasant way to spend a day—you can either rent bikes to cycle through the park or take the tram. Sleep in a room with a view. There are a few great accommodation options located around the Chiang Rai town center, and some offer an idyllic setting. For a well-maintained budget option head to Fun-D Hostel just out of town, mid-range try Laluna Hotel, and high end visit the Riverie Dusit Island Resort, which features spectacular views over the river and mountains. Even if you pick a different hotel, ALA readers receive a discount on their first booking! Eat Khao Soi until you can’t fit in another noodle. Khao Soi is a classic northern Thai dish, and there is no better place to eat it than Chiang Rai. A few shops serve Khao Soi on Thannn Baanpa Pragram Road right near the center of town. For a lively drink head to Peace House. Located just up the road from the Clock Tower, this is one of the most chilled out, friendly bars in town. The energy really picks up on Friday and Saturday nights with live music and open mic. Try the local coffee. The north is Thailand’s domestic coffee producing hub. Try the local coffee at Yoddoi or Pangkhon coffee shops, both are located right near the popular Clock Tower in the middle of town, so they are convenient and tasty ways to refuel as you explore. I’ll be the first to admit that I haven’t spent nearly enough time in this city to create the definitive guide on it. Instead, these are the tourist highlights, as well as the nuggets my expat friends have found over the years. The city is huge, it has a pretty great transportation system (you can get everywhere either on the metro, or metro to a taxi/motorcycle-taxi). Many of the backstreets have hidden cafes and pop-up street food stalls that you’ll only find either through some solid wandering, or on street food tours. Another great option is picking up a Nancy Chandler map of Bangkok before you go. These maps are incredibly detailed, colorful, and give a totally unique side of the city. The Grand Palace and Wat Pho. 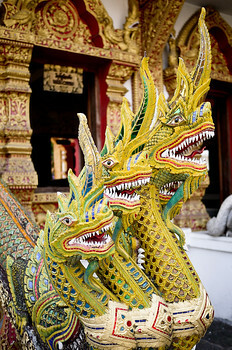 One of the top palaces in Bangkok featuring several beautifully decorated holy buildings and temples. Wat Phra Kaeo is the most sacred, housing the 15th century Emerald Buddha. Wat Pho is best known for its famous reclining Buddha statue. Eat the street food. One of the best parts of Thailand is the delicious street eats. You could arrange a formal street food tour, or use the resources at Migrationology to make your own. He has the definitive information on eating well in Bangkok. And he even has resources for vegetarians in Bangkok too. Chatuchak Weekend Market. A football-stadium sized market where you can wander for hours. Also, a good spot to pick up any gifts if you need them. And there’s plenty of places to eat too! Lumpini Park. The largest park in central Bangkok, it features bike and jogging paths, games, picnics, and rowboats. The perfect place to go to get away from the city. The Royal Elephant Museum. If you still have your ticket to the Grand Palace, you can go to this museum for free. Elephants play a major role in the lives of Thai people. Learn more about the value and religious beliefs behind this animal. Tour the Bangkok canals: Cruise along the Chao Phraya River and from there you can see the old bridges and wooden houses on stilts. There’s a lot of picturesque views from this trip, including the Khlongs of Thonburi. Jim Thompson’s House. If you have time in the city, this is a possibility. It’s a teak style house giving very good information about life in Thailand. Jim Thompson was a silk merchant who disappeared in the 1950’s. Vimanmek Mansion: If you’re into museums, this royal palace houses the Thai National Heritage museum featuring antiques, old photographs, porcelain, and memorabilia from King Rama V’s reign. There are plenty of gardens and canals to explore around the estate too. Grab a coffee and wifi. James from Nomadic Notes is a coffee-shop connoisseur and has a great list of his favorite spots in Bangkok to sip coffee and work. Stay in a nice spot. There’s a heap of accommodation in Bangkok. Consider Lub d Silom Hostel on a budget, Amara Bangkok for midrange, and Hotel Muse for a nice place from which to organize your search. Khao San Road isn’t my favorite spot, but it does have rock-bottom prices and is definitely the backpacker party spot in the city. I stayed there on my first trip through Bangkok, and now I prefer the places that are in other neighborhoods of the city. There is a lot to do in the Thai islands and this is just a general overview of the highlights across all the islands. You can (and should) look at individual tips for each island you plan to visit. But this might give you an idea of what you can do down there that wet slice of pretty that is the Thai islands. Consider diving on Koh Tao if you’re a first time diver. This spot in the gulf of Thailand is a great place for beginners interested in getting their Padi Open Water certification. I can’t think of a prettier spot to learn to dive. Snorkel in the Andaman Sea. Anywhere is going to have some beautiful snorkeling as the reefs lie close to the surface. Ko Surin is a deserted island and you can camp on and snorkel from morning till night. Kayak in the waters around Andaman Sea. It’s just so pretty here that it doesn’t matter if you’re above or below the water, it’s beautiful. You’ll see amazing lagoons, tropical wildlife, and coral reef. The tranquil island of Koh Yao Noi offers a more peaceful kayaking experience. Go rock climbing on Railay. I learned how to rock climb in Laos, but Matt has me convinced I need to do it in the Thai islands next time I find myself down that way. Eat some good street eats in Krabi. Finding good street food is like the holy grail. There are a lot of tourist-facing restaurants in the islands so finding a hotspot of tasty street eats is always welcome. Don’t attend the Full Moon Party. Koh Phangan has the reputation for this monthly party, but it has a dark side not worth supporting. Consider that most of the islands have a strong party vibe and you can find good music and drinks everywhere from Railay to Krabi to Koh Tao. Stay in a nice spot. There’s a heap of accommodation in the Thai islands. Consider well located midrange accommodation: Thalassa Hotel on Koh Tao, Villa Diva Star in Koh Yao Noi, Avatar Railay Resort on Railay, and The Pelican Residence & Suite on Krabi.